Database Systems Corp. is a leading provider of Call Center Technology including phone systems and call center software. 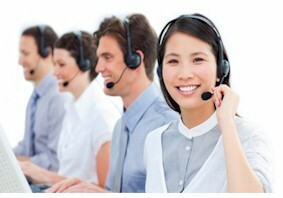 DSC also offers complete call center outsourcing services using our call centers located in multiple locations. Connect your employees to our phone systems using one standard interface with our call center software solution. Your existing applications can be significantly enhanced by placing computer telephony integration phone functions and features within your existing desktop programs, whether they are designed for the Web or Windows. Or simply use our stand-alone Softphone in conjunction with these existing applications. The DSC Softphone connects to our PACER (digital) and WIZARD (analog) Series of phone systems. PLUS extensive reports, statistics, and graphs are included with this Softphone to help you effectively manage the use of your phone system. DSC can develop your phone applications quickly -- providing you with a competitive advantage in the marketplace. From external database access to web integration including XML messaging, DSC can provide call center services and applications in a short period of time. Contact DSC to learn more about our call center software and systems. DSC offers both an affordable and expandable Call Center Phone System. This modern call center phone system includes a Windows PC with computer telephony boards from Intel / Dialogic. When combined with our comprehensive call center software, these phone systems can perform both inbound call distribution as well as outbound message broadcasting campaigns. Using our multiple location call centers, DSC offers both inbound and outbound Call Center Outsourcing services that automatically answer calls and broadcast phone messages. Our inbound call center processes phone calls using our award winning interactive voice response (IVR) system that processes incoming calls without an operator. Our outbound call center services include voice broadcasting that allows you to automatically transmit voice messages to customers, employees or the general community. Contact DSC for a FREE analysis and quote and to learn more about our call center software and services.